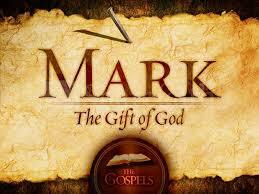 The Gospel of Mark | The Old Adam Lives! Thanks to Peter Prothero for the photo. This class, taught by Pastor Mark, is perfect for those who may be bogged down in the cares of politics, or finances. It’s really very good for…anybody! Share it with someone for Christmas. It truly is the perfect gift. And it’s free! Thanks to sharefaith.com, for the photo.